The recent visit to the U.S. to meet various funds and investors has been the most successful so far, Treasury and Finance Minister Berat Albayrak said, noting that the Turkish economy is on the right track despite negative media perception abroad. "When we look at the returns from each investor meeting, we began meetings by getting largely praised about the effect of the last six to seven-month performance," Albayrak told reporters, adding that the JP Morgan investors' conference had the largest attendance ever. 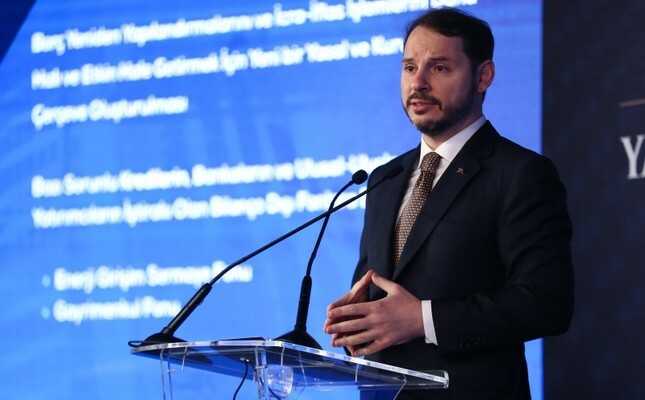 Albayrak noted that the Turkish economy faced large challenges seven months ago, stressing that the improvements in 2018 year-end and 2019's first quarter were quite successful. "We have to put forward a strong performance by taking important lessons from these processes and eliminating vulnerabilities. I feel very comfortable in that sense. Turkey is moving toward its goals step by step." "There will always be people and institutions friendly and supportive of Turkey, as there will be those who are against. There will be those who love Turkey, as there will be those are uncomfortable with it," Albayrak said, adding that Turkey is moving toward a system operating like clockwork against information pollution and disinformation. The minister said a possible re-run of local elections in Istanbul, disputed between the ruling Justice and Development Party (AK Party) and main opposition Republican People's Party (CHP), was not among the concerns conveyed in official meetings and only a couple of investors asked questions on this matter. Investors were mainly interested in the upcoming 4.5-year period without elections, Albayrak said, saying that markets made their moves for all possible outcomes in the elections.